The 2011 to 2014 Mustangs pack a lot of power under their hoods and they're extremely fast in a straight line, but they lack quite a bit of handling when it comes to cornering at high speeds. You can easily remedy this problem, however, by swapping out those ineffective factory components with some of our high-performance suspension upgrades. These high-performance upgrades come from top manufacturers like Eibach, H&R Springs, Steeda Autosports, BMR Suspension and Ford Racing and will have your Mustang cornering like a champ. 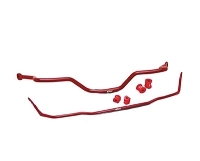 After you've looked through our sway bars, lowering springs, and suspension packages, take a look at our selection of Mustang Exhaust Systems or Programmers & Tuners. While your 2011 to 2014 Mustang GT 5.0L V8 and 3.7L V6 are awesome off the line and on the straightaways, they have issues when it comes to keeping their rear wheels on the track when cornering at high speeds. At Stage 3 we understand what it takes to correct that problem and get your Mustang handling like a pro. By upgrading to one of our Eibach Suspension Packages, you'll get everything you need to pull the reigns in on your Pony and get exceptional control. 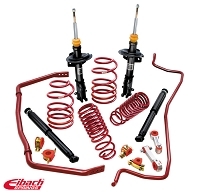 With the Eibach Pro System Plus Suspension Kit you get the perfect amount of drop that the majority of Mustang owners would be happy with, while the Eibach Sport System Plus Suspension Kit lowers your ride much more aggressively for track racing. 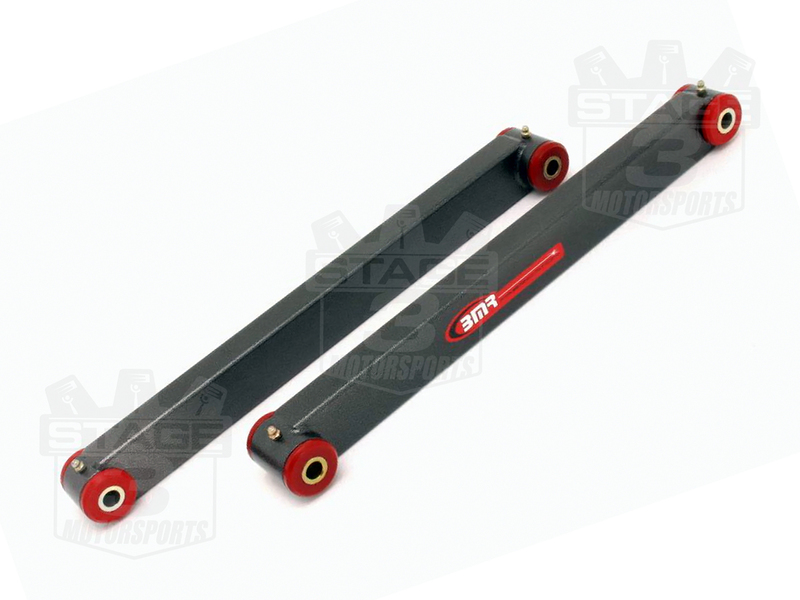 Both systems include: Lowering Springs; an Anti-Roll Front and Rear Sway Bar Kit; and Pro-Damper Performance Shocks. The Mustang has never been a slick, corner-carver straight out of the factory, and Ford wasn't about to fix what has been pretty broken for the last couple decades. 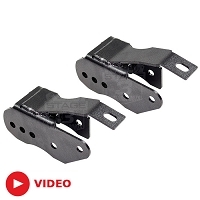 While most people are fairly happy to have a Mustang that's only capable of moving in a straight line (even then, a few suspension upgrades can help), you and we here at Stage 3 Motorsports would actually like to power through a corner with as little braking as possible. In order to do that with any rate of success, your average Mustang is going to need one heck of an overhaul, which generally brings up a question or two. Or 27. Almost without exception (well, maybe one or two) you want to start out with a set of lowering springs. 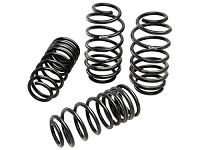 Mustang lowering springs are basically must-haves for just about anyone looking for better performance out of their Mustang. 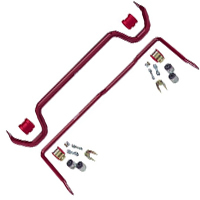 A new set of springs is also a great way to give your Mustang a sleek new look by bringing down your Pony's ride height and usually getting rid of a lot of that frontal rake to give it a more even stance. 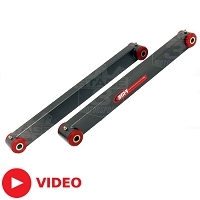 Which shocks and struts should I use with my springs? 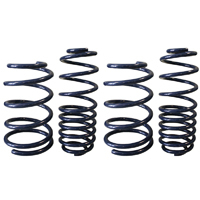 In general, we recommend using a set of shocks and struts from the same manufacturer as your lowering springs. 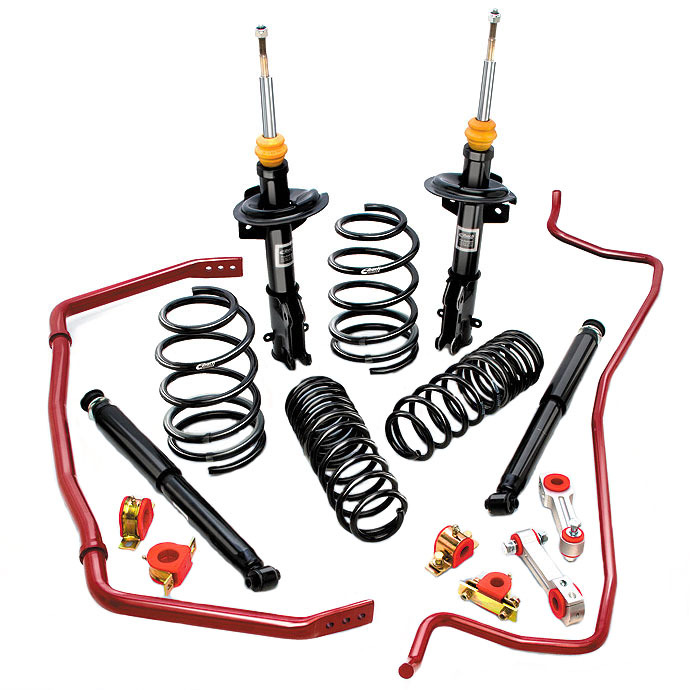 Nearly every single one of our Mustang performance suspension builders developed their shocks and struts using their own springs and keeping it all in the family will maximize your Mustang's suspension performance and not cause any fitment issues. 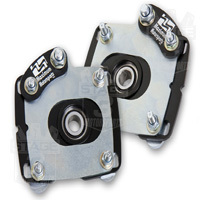 So, if you have Eibach Pro-Kit lowering springs, you should probably grab their Pro-Damper kit. 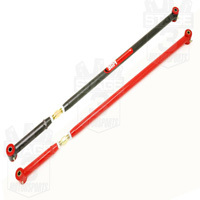 If you have Steeda's Sport Springs, you should use their Pro-Action shocks and struts. 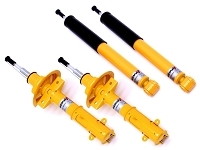 If your springs don't have a matching shock and strut kit, then feel free to give us a call at 1-877-578-2433, and we'll find a combination that works best for your application. I get wheel hop like something fierce. How do I stop it? Stopping wheel hop should be one of your top priorities. Wheel hop has the potential to seriously damage your Mustang. 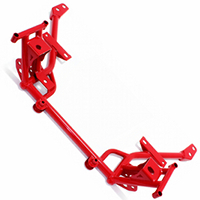 The best solution for wheel hop is a set of upper and lower control arms. 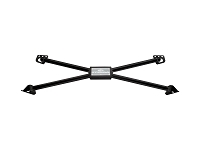 Aftermarket control arms effectively locate your axle and keep it in contact with the ground in even the most high-horsepower applications. 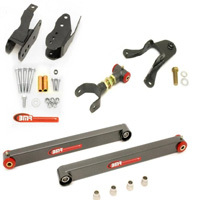 Control arms are a great upgrade for stock and modified Mustangs that are putting down really impressive horsepower. I lowered my Mustang and now I have pretty bad bumpsteer. What can I do? 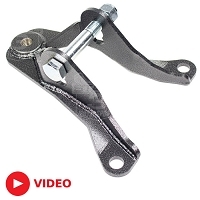 A bumpsteer kit or new ball joints are what you need. 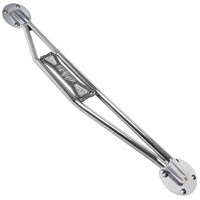 For the uninitiated, "bumpsteer" is a phenomenon where your suspension steers your wheels as it's articulated. This is generally bad, because you have less control over your Mustang and is very common when you lower your Mustang. 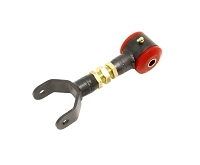 Bumpsteer kits and aftermarket ball joints correct your suspension geometry and help eliminate bumpsteer. I need the best you have. Hit me. 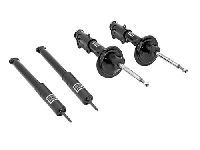 Any of our powerful suspension packages should fit the bill. 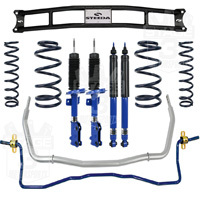 The clear standouts when it comes to handling performance are coil over kits from H&R Springs and Steeda Autosports. 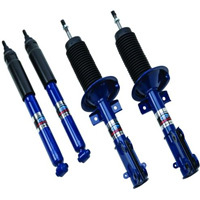 One of our best and most unique suspension systems is the Air Lift Air Ride suspension system. 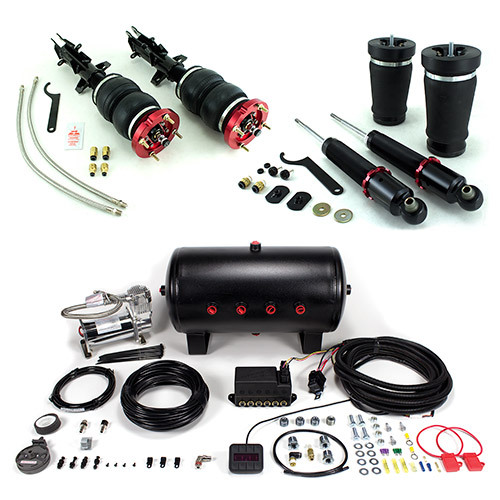 This complete kit uses a set of air springs and high-quality performance dampers to give you awesome performance and on-the-fly ride height adjustments.